Have a trade show that you are attending? We can do anything from retractable banners, to tripod banners, to even table top signs and banners. Need it in a hurry? 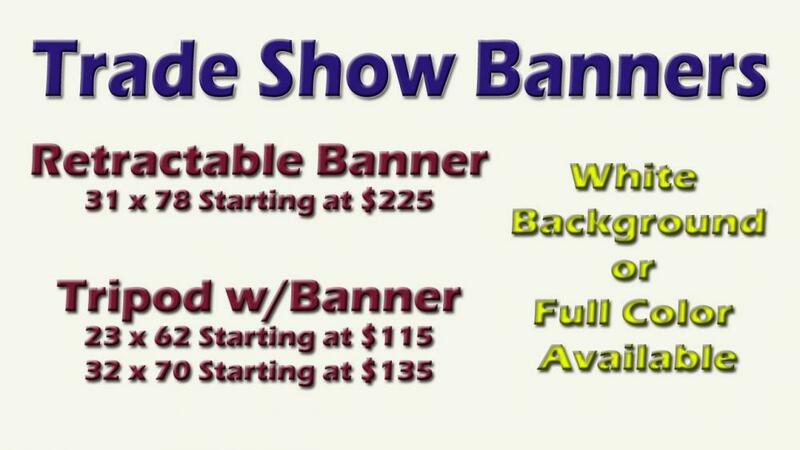 We have same day services on many of your trade show needs!